The Porsche GT Team has secured another podium result at the penultimate race of the IMSA SportsCar Championship season. After a gripping race at Laguna Seca, Earl Bamber (NZL) and Laurens Vanthoor (B) crossed the finish line in second. The pair in the No. 912 Porsche 911 RSR was just 2.488-seconds off claiming the second win of the year. Their team colleagues Nick Tandy (GB) and Patrick Pilet (F) had to park their 911 RSR early after becoming entangled in another competitor’s accident. In the GTD class, works driver Jörg Bergmeister (Germany) and Patrick Lindsey (USA) clinched second. The race over two hours and 40 minutes was marked by different strategies and many caution phases. At an early safety car phase, the Porsche GT Team called Bamber into the pits. As a result, the New Zealander moved into the lead shortly before halftime. After handing the 510 hp 911 RSR off to his teammate Vanthoor, the race turned into a real thriller. 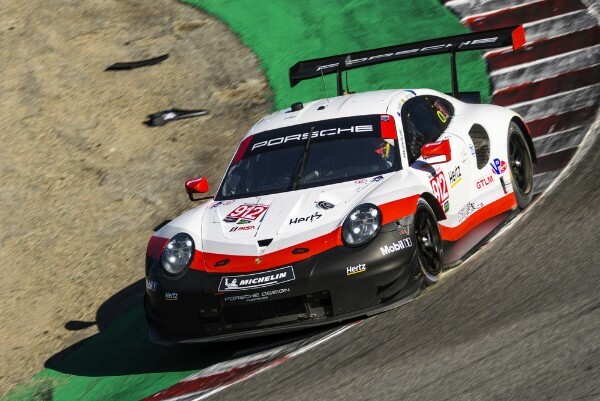 The Belgian had to stay out on the track for an hour and 17 minutes on a tank of fuel and one set of tyres – a big ask faced with the tough competition in the GTLM category. Putting in a focussed and flawless drive as well as a clever use of fuel, the Belgian brought the vehicle home in second place. The Porsche customer team Park Place Motorsports celebrated a podium finish in the dunes of California. Works driver Bergmeister successfully fended of repeated attacks from his rivals in the final phase. The German used his vast experience to bring the 500 hp Porsche 911 RSR with the number 73 safely across the finish line in second place. Factory driver Patrick Long (USA) and Porsche Selected Driver Christina Nielsen (DK) concluded the race on eleventh. Many Porsche works drivers and racing legends will return to the Laguna Seca Raceway in three weeks to celebrate the Porsche Rennsport Reunion in California from 27 to 30 September, 2018. The world’s largest event for Porsche enthusiasts and connoisseurs of historic race cars will be held for the sixth time. 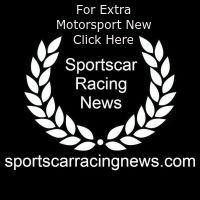 The 2018 season of the IMSA SportsCar Championship will conclude with the round at Road Atlanta (10 to 13 October) in the US state of Georgia. The race, which is dubbed “Petit Le Mans”, is contested over ten hours.